David is an expert in retained search, corporate recruitment, and workforce consulting. His depth of knowledge is outstanding; he’s been in the field for 30 years. David is a nationally recognized speaker and blogs on matters related to search, staffing, and ethics. David has worked extensively designing staffing systems for human resources, from both consulting and corporate perspectives. David’s impressive grasp of organizations and human capital needs strengthened in the human resource departments of Fortune 500 companies: Honeywell and Pillsbury Company (acquired by General Mills), and Farm Credit Services of Saint Paul as well. 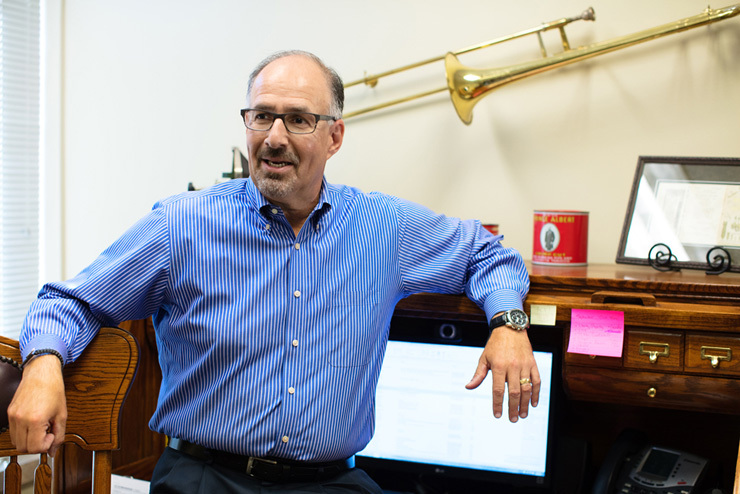 David established Abeln, Magy, Underberg & Associates as a respected partner in recruiting key talent within a large array of business: family owned, non-profit, high technology, food related, manufacturing, and multi-national corporations. David is very active in the community. As a “friend of the board” within three non-profit organizations, he’s busy with special projects such as working with youth camps and cleaning up natural disasters. He is also on the Board of Directors for Community Health Charities of Minnesota. He is married to a fire fighter and has three children and one grandchild. David enjoys many diverse hobbies and pursuits (he likes to collect experiences) including martial arts and motorcycles.